Guided by science and its mission to conserve the lands and waters on which all life depends, The Nature Conservancy (the Conservancy) works with partners in 72 countries and all 50 United States to develop solutions to the world's toughest challenges so that nature and people can thrive together.  Since 1980, the Conservancy has contributed to the protection of 2.5 million acres of Hawaiʻi's forests - the source of our fresh water, and has led efforts to combat invasive species that devastate island habitats from mountains to nearshore coral reefs. Assess ocean health by researching how land-based pollutants, non-native species, and warming sea surface temperatures impact coral reefs and native fish populations. 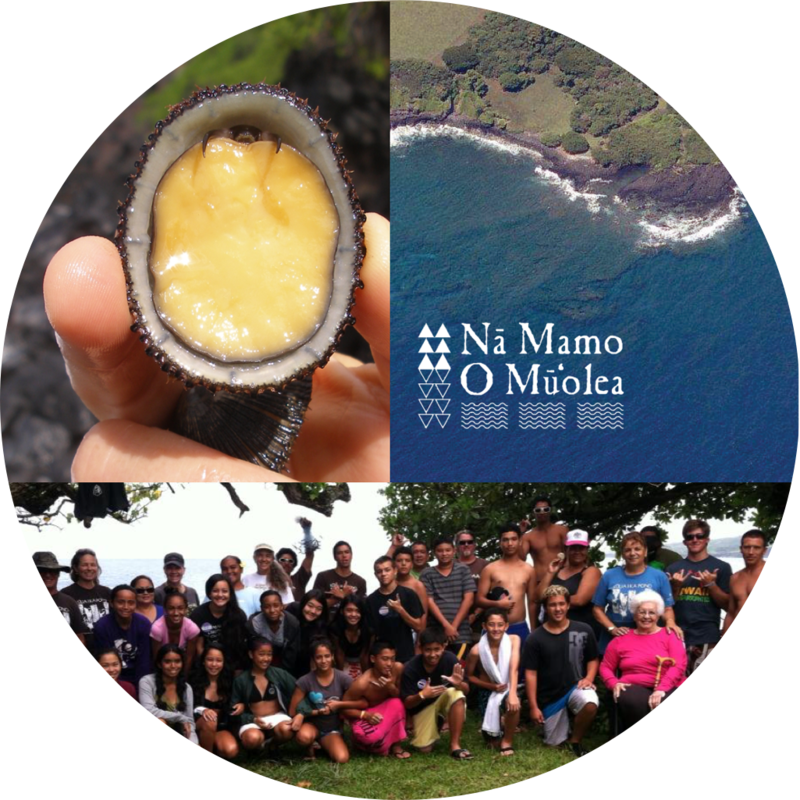 Provide tools and expertise to help government agencies and community groups develop plans that integrate science and traditional knowledge. Train and guide community members who monitor corals, fish, 'opihi, and water quality. These citizen scientists collect data that helps government agencies and community groups understand the condition of nearshore reefs and fisheries so they can develop and adapt actions to improve ocean health. Restore essential habitat to enhance food production and coastal protection by working with partners and volunteers to remove invasive vegetation and demonstrate how traditional systems like fishponds and wetlands can reduce sediment flows that would otherwise smother and kill coral reefs. Convene, lead, and support peer learning networks and academic and government partnerships to enhance and accelerate conservation. These efforts provide platforms for shared learning and collective action for today's conservation leaders. The Conservancy also provides fellowships and internships to help build the next generation of leaders. To learn more about its work, visit nature.org/hawaii and follow the Conservancy on Facebook, ​Twitter, and Instagram.